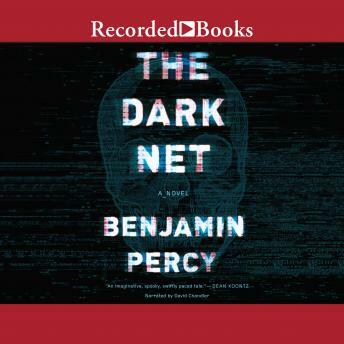 Hell on earth is only one click of a mouse away in acclaimed writer Benjamin Percy's terrifying new horror novel The Dark Net is real. An anonymous and often criminal arena that exists in the secret, far reaches of the Web, some use it to manage Bitcoins, pirate movies and music, or traffic in drugs and stolen goods. And now, an ancient darkness is gathering there as well. These demons are threatening to spread virally into the real world unless they can be stopped by members of a ragtag crew: Twelve-year-old Hannah, who has been fitted with the Mirage, a high-tech visual prosthetic to combat her blindness, wonders why she sees shadows surrounding some people. A technophobic journalist named Lela has stumbled upon a story nobody wants her to uncover. Mike Juniper-a one-time child evangelist who suffers from personal and literal demons-has an arsenal of weapons stored in the basement of the homeless shelter he runs. And Derek, a hacker with a cause, believes himself a soldier of the Internet, part of a cyber army akin to Anonymous. They have no idea what the Dark Net really contains. My attention drifted in and out but I will get more out of it on a second listening.